Production Time: 5 business days - Give yourself a "hand" for selecting such an awesome marketing tool! 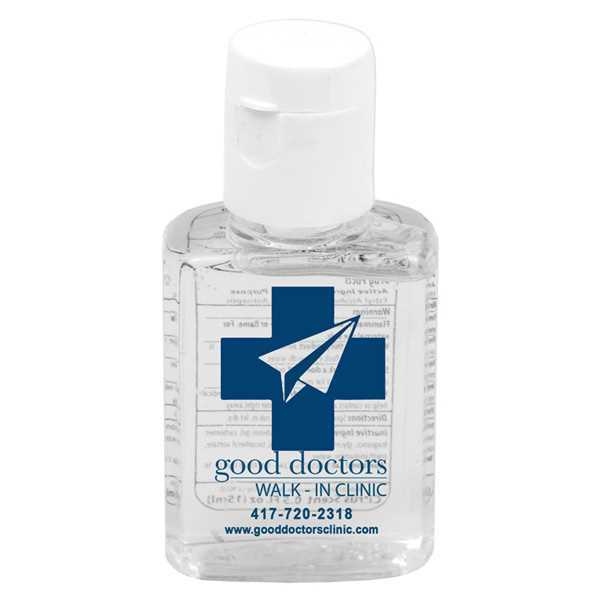 Eliminate harmful bacteria and germs with this 1 1/4" x 2 1/2" squeeze bottle filled with citrus scented hand sanitizer. Perfect for on the go access, yoju can store this item anywhere and it's even small enough to fit in your pockets! Add your logo to this bottle and hand it out at tradeshows, conferences, health and fitness events and more. What a nice way to promote your business! Meets FDA standards. Please note: Small bubbles and variation in label application alignment cannot be avoided and is not considered a defect. Size: 1 1/4 " x 2 1/2 "